Poodleism: Top 2 Tuesday - Healthy Recipes and Snacks! Brown the turkey, chop up the veggies and throw together your taco treats -that's it! Now, I know there's cheese, but I just can't not have it. This also makes a pretty amazeballs taco salad if you're so inclined. If I'm feeling completely wacky, I'll have some brown rice on the side, but really I'd rather just have more space in my tum for taco. This is an everyday staple for me. My mid-morning snack (I'm trying to adhere to this 5 small meals/snacks per day plan) is typically a yogurt. The Greek ones are extremely high in protein, low fat, and help curb my dairy craving. IF you get the plain, it's almost no sugar, but I have to dress it up with fruit or Splenda. If you don't get the plain (which is a little tart), watch out for the sugar content in the flavored. My favorite is the various FAGE flavors (above) because of their high amount of creaminess and acceptable sugar content. In general, FAGE is the best brand I think. I could go on about this forever. Comment if you're interested in more tips. This girl wasn't blessed with a favorable metabolism, and have pretty much been "dieting" since 2003. Yay for skinniness! Hopefully things will pay off in the next couple of days - I've just remembered that I need to get into a swimsuit this weekend - ACK! Yummy Picks! I've never had them but they look great! 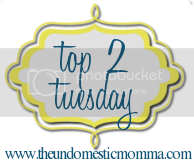 Stopping by from Top 2 Tuesday. I love your blog! It's adorable!!!! If you stop by and follow my blog, be sure to let me know in a comment. I ALWAYS follow back. Happy Tuesday! Stopping back by to let you know I'm following! I don't even want to start in about my cheese obsession. Any kind any shape...I'll gobble it down. However, I'm also in love with Greek yogurt...and I'm kind of a fan of the plain. turkey taco is one of my favs!!! 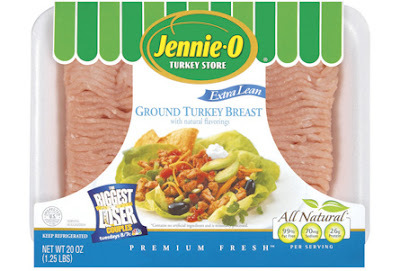 I love Jennie-O turkey and use it all the time for turkey burgers, turkey chili, etc. I've also just discovered Greek yogurt in the last few weeks. I love greek yogurt too!